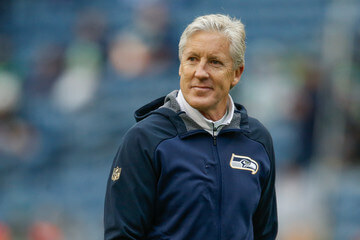 Pete Carroll took over as the Seahawks head coach in 2010. On the morning of January 9, 2010, Carroll reportedly came to agreement with the Seahawks on a 5-year contract that would appoint him as head coach. He was officially hired as the Seahawks head coach on January 11. Carroll’s fourth season, 2013, was his greatest level of success in the professional league. His Seahawks finished the regular season with a sterling 13-3 record, placing them on top of the NFC conference for their first time since 2005. The ’05 Seahawks produced an identical record, excelled through the playoffs, and into the Super Bowl for the first time in franchise history.